Jed was born in Crawley, England and moved to Australia before he turned two. Jed grew up in Victoria and has since moved to Western Australia. He is halfway to getting his Physical Education degree, but has taken some time off to earn some money, travel and get some real-life experience. 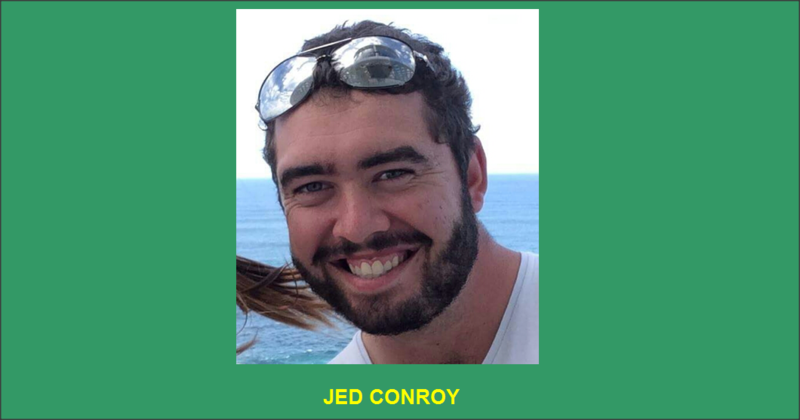 Jed has been working with kids for several years as a coach, in after-school programs and just being a big brother (he is the eldest of six children). He was lucky enough to get a paid traineeship right after high school, and spent a year working at the School of Student Leadership where the focus was on building leadership skills in 16-year olds by taking them out of their respective comfort zones. This included taking them on a three-day expedition, helping with a student-run charity and fundraising. This will be Jed’s 3rd year at Camp Echo Lake, and his 2nd as a group leader. Jed is looking forward to another summer and being a part of a successful group. This will be my 3rd summer at Echo Lake. I came here for the opportunity to work with kids in a camp setting, and also to travel overseas. I spent time traveling around the states after camp ended last year. I am now working back in Western Australia as a tree lopper, saving money to get back to camp and continue my travels. My life goal is to be the best me that I can be, and that is my goal for the campers and staff that I will lead this summer. I will challenge them to tackle situations that are out of their comfort zone while providing them with a support system. What have you learned being a Group Leader at Echo Lake, and how do you plan to use what you’ve learned this coming summer? That Echo Lake has an awesome support structure, and that it takes teamwork to succeed. The team-based atmosphere makes it easy to succeed. I hope that they have a safe and extremely fun summer. I will be there to help them grow, develop and become well-rounded individuals that succeed within the group. Special Day is my favourite day of camp. It takes a lot of planning and organizing, but to see the enjoyment that the kids had all throughout the day was amazing. Moments like that are why I love being at Echo Lake.